The art of mosaic has a rich history that dates thousands of years and is one of the original recycled products. For centuries, artisans have used recycled glass, stone, pebbles, and even shells to create low maintenance, high impact mosaic imagery. Mosaic is the ultimate choice for green surfaces due to its inherent durability, sustainability, and timeless beauty. Artaic is committed to contributing to a clean and safe environment through sustainable mosaic design. Mosaic tile installations have an outstanding record of durability and performance dating back thousands of years, making it the most capital efficient material over time. Unlike other flooring products such as carpet, vinyl, and laminate flooring, ceramic and porcelain tile will last the life of the structure, if not longer. Artaic is able to utilize any tile on the market, which consists of a wide range of recycled tile, including 100% post-consumer recycled glass tile. With a wide range of sustainable options, ranging from recovered scraps of stone, porcelain, and glass, Artaic tries to persuade clients to use recycled tile material whenever possible. Artaic mosaics utilize tiles that contain zero VOC’s or other harmful substances, even in the case of fire. In addition, there are adhesives and grouts available that contain zero, or very low VOC’s. The non-porous mosaic material is antimicrobial, hypoallergenic, does not attract dust or dirt, and does not accumulate moisture – helping to maintain a mold free environment. Mosaic tiles require very low maintenance and can be cleaned with warm water, eliminating the need for harmful chemicals. Mosaic tiles store thermal energy to stabilize temperature swings and certain tile can be used as an insulator. Low thermal conductivity maintains cool in hot climates and warmth in cold climates. LED backlights are also an option for illuminating certain projects, offering a long lasting, efficient light source that highlights the beauty of our mosaic. Artaic offers the purchase of a renewable energy credit for the electricity used for production of any mosaic project. There is a nominal cost, which is easily absorbed by a larger project price. 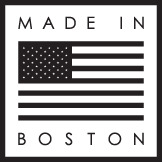 Tile, grout, adhesive, or any other installation material used to create custom mosaics is available to be sourced locally within 500 miles of our Boston, Massachusetts location. This results in low amounts of energy consumption and air emissions when transporting products to any job site in the northeast United States. With proprietary precision technology, Artaic is able to fit a mosaic to the given surface, manufacturing the exact amount of tile needed for the project, considerably reducing the amount of time and waste during installation. The tiles used in our mosaics often come from tile factories that are “closed loop,” where they send a very small amount of scraps to landfills and waste water to treatment facilities, significantly reducing the impact on our environment. Artaic is an official partner of Smartway Transport – a transportation service committed to promoting a healthier environment in the freight industry. Their services are available to ship mosaic projects with the unique concern to improve transportation efficiency and lower air emissions by integrating cost-effective, fuel-saving strategies into freight operations.